If you’re vehicle has a larger oil capacity, products G4 and G6 can be combined to be used for a vehicle with an oil capacity of 10 quarts. G4: For gasoline engines with an oil capacity up to 4 quarts. 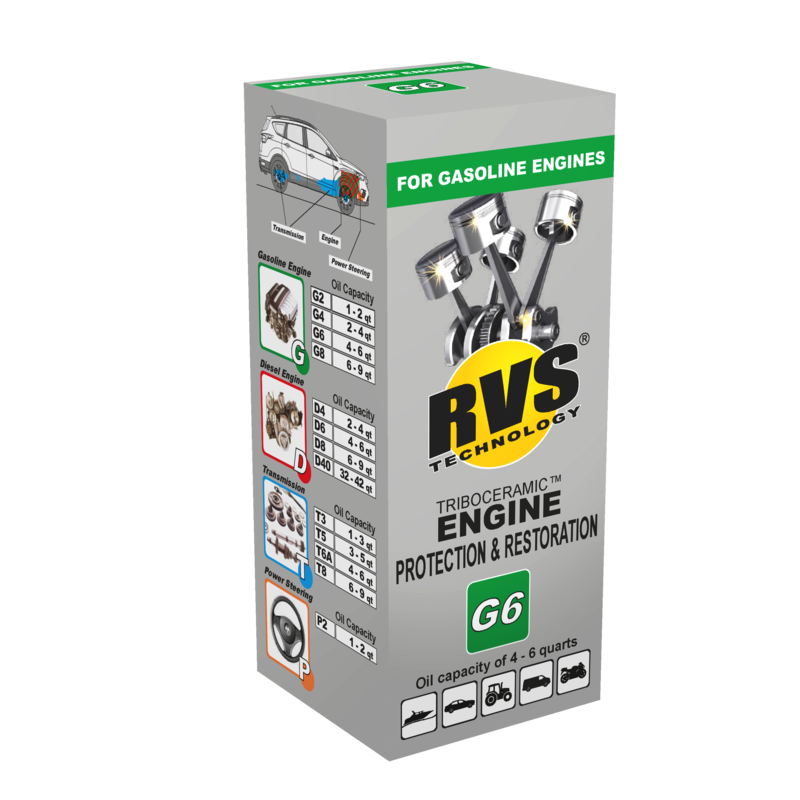 G6: For gasoline engines with an oil capacity up to 6 quarts. G8: For gasoline engines with an oil capacity up to 8 quarts. We recommend that you reference your vehicle's owner manual or visit this link to find out your engine's oil capacity. Free Shipping with Coupon Code "RESTORE"
disassembling the equipment being restored. In practice this means, without down times and loss of production. The core of the technology is its ability to identify objects and points prone to wear and damage by “locating” the source of the thermal energy (heat) produced by the friction and it’s capacity to modify these friction surfaces. The process ceases automatically as the required result is obtained. The thickness of the born structure depends on the wear rate and the hardness on the surface pressure during the process. The clearances in every friction pair in the mechanism are optimised to a level hard to achieve by current application methods. All this takes place without down times and needs for expensive spare parts and costs of logistic, handling or remote processing. The result is a reliable mechanism for a long time. Survival of the mechanism in case of accidental loss of lubricant! Step-by-step instruction booklet in English, Spanish and French. What are cold starts and will your products help reduce/eliminate them? Cold start is a phenomenon observed when an engine is started in cold weather – during the first few seconds, the oil is thick and oil pressure is low, and the engine is starved of oil – that causes parts inside to wear out due to the friction caused by lack of proper lubrication. The Triboceramic layer created by RVS Technology® protects the components inside an engine from this oil starvation because even without oil, the triboceramic layer is very slippery, thus minimizing the damage caused by cold starts. Is RVS Technology just another oil additive? No! 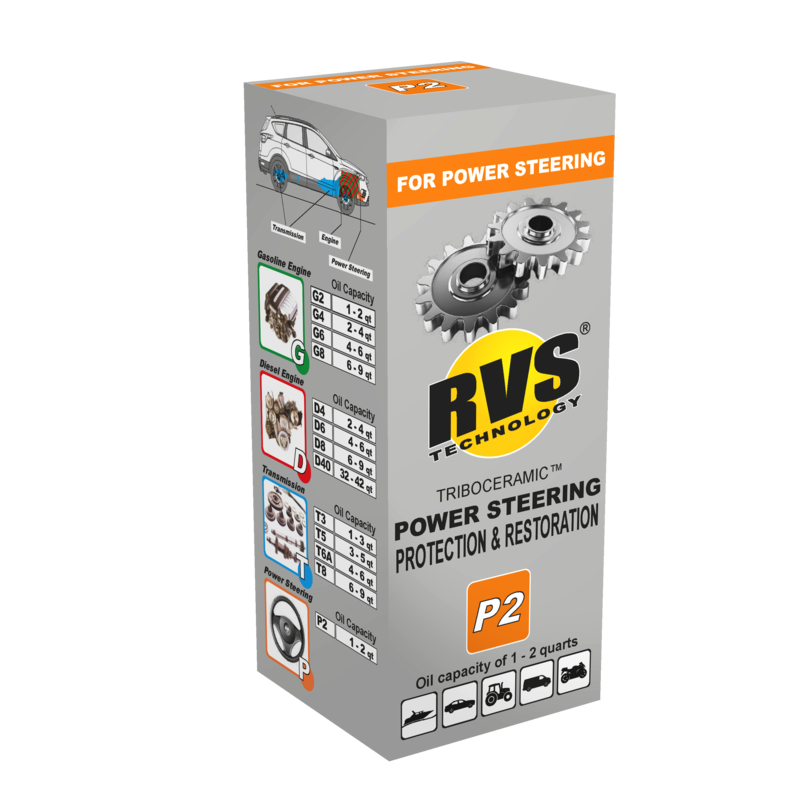 Unlike oil additives on the market, RVS Technology® products produce a Triboceramic layer that integrates with the metal friction surfaces of your engine, transmission, differential etc. That’s why it lasts for 60,000 miles (100,000km) and oil changes do not affect it. The idea of oil additives is to improve the oil properties and have to be re-applied at every oil change. Do I need to re-apply RVS Technology® at every oil change? No! As mentioned above, our products react directly with the metal components, forming a Triboceramic layer that is durable and that becomes an integral part of the metal components. Oil changes do not affect the RVS Technology® treatment. How do I know what is the right product for me? Our products are categorized by the oil capacity of the device you are treating. If your engine holds 4 qts/liters of oil, you need a G4 treatment. If it holds 5, you need the next highest number – G6. An automatic transmission with 6 qts/liters of ATF needs a T6A, and so on. If you are unsure of the fluid capacities of your particular vehicle, they can usually be found in your owner’s manual, the link provided on our web page, or you can simply contact us and we will find it out for you! Does RVS Technology® reduce the operating temperature of my engine? Yes! Due to the lowered internal friction, the engine runs cooler after a RVS Technology® treatment. This can be beneficial in warm climates where vehicles are subjected to extreme heat. My engine feels tired and has low compression. I was quoted $1800 for a rebuild. Can RVS Technology® help? Yes! RVS Technology® can definitely help. The low compression and lack of power are usually caused by worn out cylinder walls. The Triboceramic layer created by RVS Technology® seals the gaps and restores compression/power potentially saving you thousands. I’m getting really bad gas mileage. 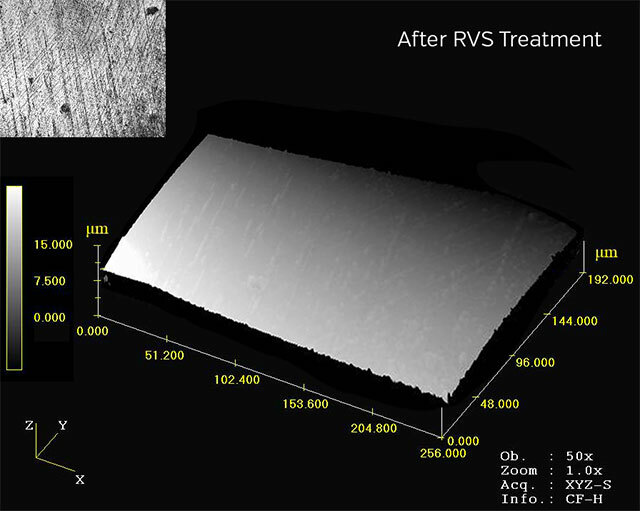 Can RVS Technology® improve it? Yes, it can! The reasons for high gas mileage can be numerous. 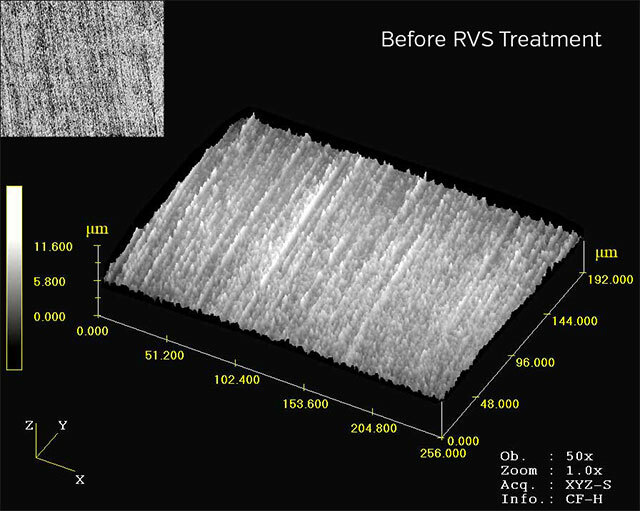 Regardless of the reason, you will notice an improvement after a full RVS Technology® treatment. The reduced mechanical friction allows your engine to run more efficiently. The result is typically a 5-12% improvement in gas mileage, casewise even more. Can RVS Technology® be used in vehicles with synthetic oil? Yes. RVS Technology® products are fully compatible with all types of oils. My automatic transmission is slipping. Can your products save it? If it’s caused by a valve problem RVS may help, but if the transmission slips because the clutches inside of it are worn out RVS cannot help. The clutches have paper-kind of mass surfaces and RVS Technology® works only on metal parts. Sometimes the problem is caused by bad shifter solenoids, which is an electrical problem, and this case they need to be repaired/replaced accordingly. If RVS Technology® doesn’t fix slippage in an automatic transmission, then how does it help? There are many metal gears, bearings, and valves as well as an oil pump inside automatic transmissions that benefit from the effects of an RVS Technology® treatment. Friction surfaces of these parts are treated and the friction between them is reduced, allowing your transmission to operate smoother and quieter. Internal heat production that burns the oil and is the main cause for transmission failure is reduced, extending the life of the oil and transmission itself. It is recommended not to postpone the second treatment further as the dirt removed from the surfaces being treated starts to stick back on the cleaned surfaces. Pour the rest of the mixture in the bottle into the engine. Warm the engine up to its normal operating temperature. Meanwhile squeeze the contents of the small tube into the bottle and close the cap of the bottle and Shake the bottle well (20–30 sec.) until the mixture is homogenous (The contents of the package should be at room temperature). Pour immediately half of the mixture into the engine and Let the engine idle for 15 minutes. Stop the engine for one minute. Shake the bottle well (20–30 sec.) and Pour the rest of the mixture in the bottle into the engine. Drive the vehicle at least for 30 minutes avoiding heavy engine loading. When treating a motorcycle engine with united lubrication with the gearbox, use all the gears for equal intervals during this stage. Drive the vehicle in the sequel as usual for approximately 300–400 kms (200–250 miles) but avoid heavy engine loading (run-in). treatment further as the dirt removed from the surfaces being treated starts to stick back on the cleaned surfaces. The 2nd treatment is applied the same way as the 1st treatment. The treatment is complete after approximately 1500–2000 km (1000–1250 miles) (or 20 to 50 engine hours) counted from the second treatment. A third treatment with a third package carried out similarly to the first and second ones may be useful for very worn engines.